Last week I, along with VAA Directors Bob Lumley and Steve Neese, VAA Advisors Earl Nicholas and Ray Johnson and VAA Volunteer Wayne Wendorf, attended Ron Alexander’s Celebration of Life service. It was a fitting tribute to a great human being and friend. Jim Busha, EAA Director of Publications, was also there. If you have not read Jim’s tribute to Ron entitled “Saying Goodbye One Last Time“, you should consider doing so. It is Jim’s heartfelt tribute to Ron and the exemplary life that Ron lived. Our Red Barn HQ at Oshkosh is about a century old. It had been remodeled and expanded at least three times since we inherited it in 1973. While we have kept it good looking, the basic structure of the original barn was badly in need of major repair. Look carefully at the first photo. Can you see the recent changes?Through the generosity of two major donors, the National Bi-Plane Association and Vintage Chapter 11, we have enough funds on hand to completely restore the original barn as well as expand it and modernize the interior to better serve our members and guests during AirVenture. At the moment our Red Barn looks just like a “building” on a movie set – perfect front view and noting else. The roof was sagging. Structural supports were rotting at the bottom. Read the full story to see what is happening now. 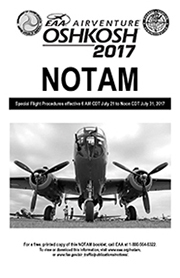 Grocery operations during AirVenture this year will be an in-house operation rather than a contracted one as in past years. As part of that, Nancy Tribble reports that the “Red One Market” will be in four locations on the grounds during the fly-in: the traditional Red Barn Store and West Campgrounds sites in Camp Scholler, as well as in the North 40 and South 40.The Red One Market will have basic groceries such as fruits, veggies, OJ, water, and salads. We have no other details so far, but this much requested and much needed addition will be a great benefit to Vintage Showplane campers and guests. We will report on more details as they are released. who was featured in our last issue of Vintage AirMail. Cayla’s words brought both laughter and tears to the more than 900 people in attendance.EAA Director of Publications Jim Busha and Chief Photographer Erin Brueggern were in attendance representing EAA. You can read Jim’s moving tribute on the new EAA Blog here anong with photos of the day including many vintage aircraft. Erin also produced a photo slideshow just for Vintage which you can view here or by clicking on the image above.During the ceremony it was announced that PeachState Aerodrome has been officially renamed as The Ron Alexander Memorial Airport. are absolutely breathtaking. You can learn more about this multi-continent event at their website, www.vintageairrally.com. please add connect@eaa.org to your address book or safe sender list.